Numbered award badge of Zgrupowania AK "Radosław"
The 'Radosław' Group included many boy soldiers from the Polish Scouting Association (Szare Szeregi -Grey Ranks), and was commanded by Jan Mazurkiewicz (codename Radosław) who was also a commander of the elite Kedyw. Were these badges acually awarded during the war? If so I think Im going to have a heart attack from the ones I skipped!! Skorpian Drinking is strickly forbidden in the AK! Unit Commander was Major Rudolph Majewski. Total unit strength was 585 (including 53 Soviet soldiers) operating from forest encampments. My Great Uncle was a member of a Resistance group which also made a camp in a forest where they hid themselves from the Germans with very much succes. His unit was stationed in the Zamosczyna area (Near the small town of Izbica (Which was a Ghetto during the war) my Grandpa recalled one time when him and the rest of his group were runing away as the Germans were surronding the forest but they shot themselves through the Germans and made it safely to another forest. 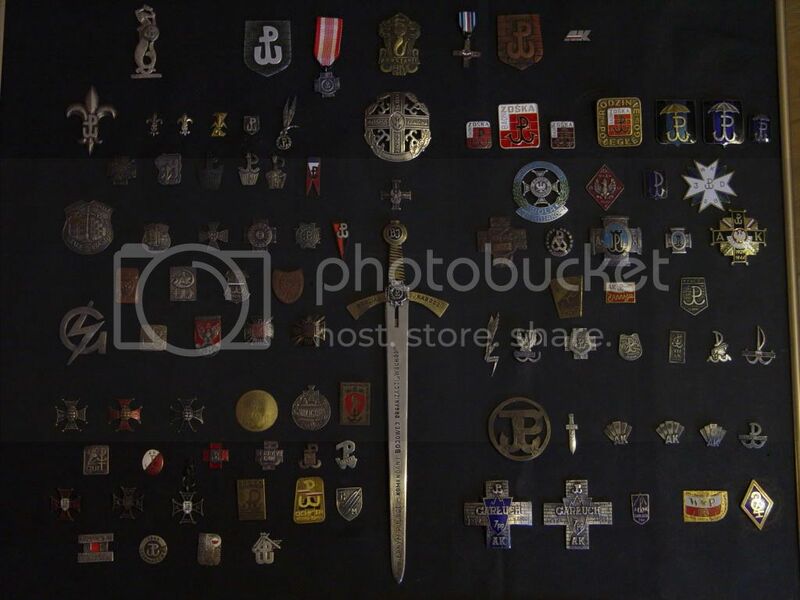 I decided to show part of my polish underground badge collection. 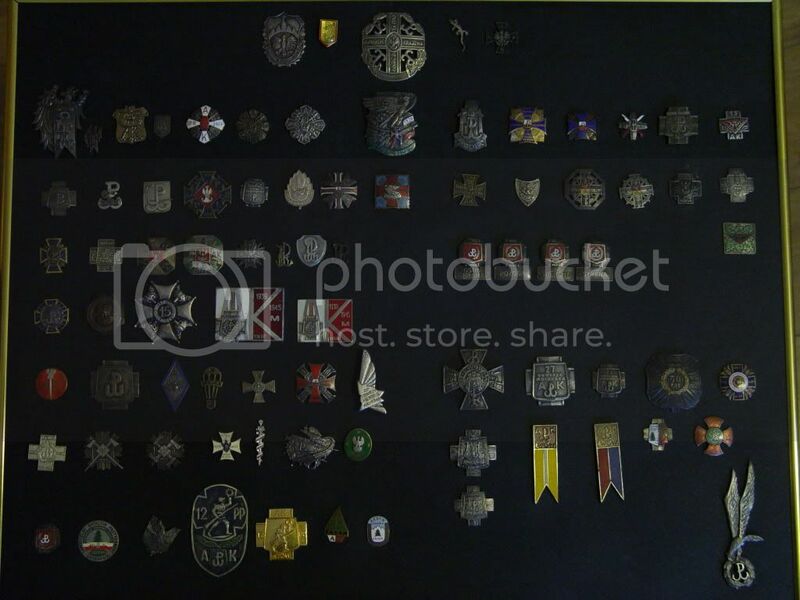 The first picture shows Warsaw Uprising related badges. The second picture with "rest of Poland" badges. 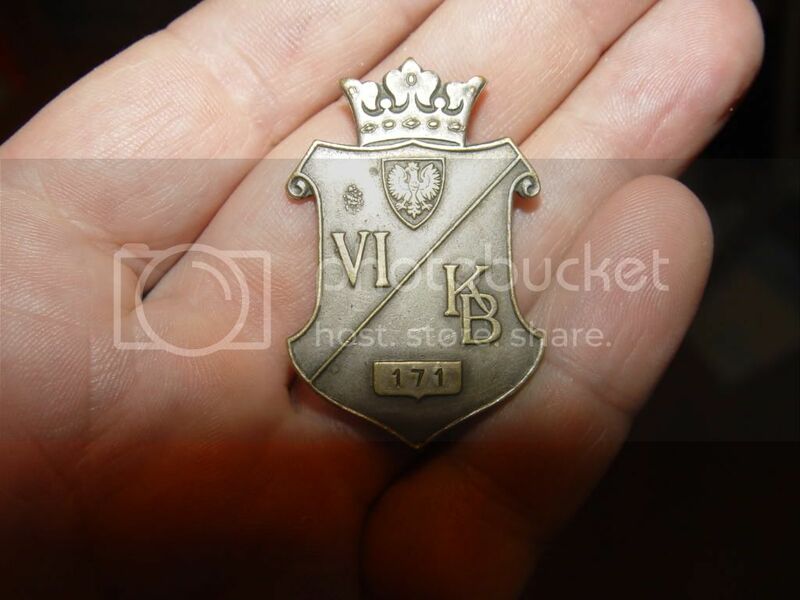 Here is an original wartime production badge of Korpus Bezpieczeństwa Wewnętrznego AK. These were made in 1941 in Kraków for officers of Organizacja Wojskowa-Korpus Bezpieczeństwa AK ( how stupid as for underground organisation). VI means district Kraków - OW-KBWAK had 9 districts. Why do I portray the unit I do?